Events Buzz: Last Week of July, a look into August! Say hello to the last week of July! Summer is coming to a close and you’ll soon be seeing “Back to School” ads all over the place. If you haven’t picked up your summer reading books yet, though, we still have some in stock—and if we don’t we can order them. Going on vacation? We also have delivery options so your students can get their reading done on time. We here at ABSW on 65 James Street were happy to see the return of Bloom County to keep us appropriately whimsical and thoughtful amidst the current political drama and upcoming 2016 election! If you, too, are a fan of the Berkeley Breathed strip, you may be interested in our stock of Bloom County collections. Stop in and check them out! 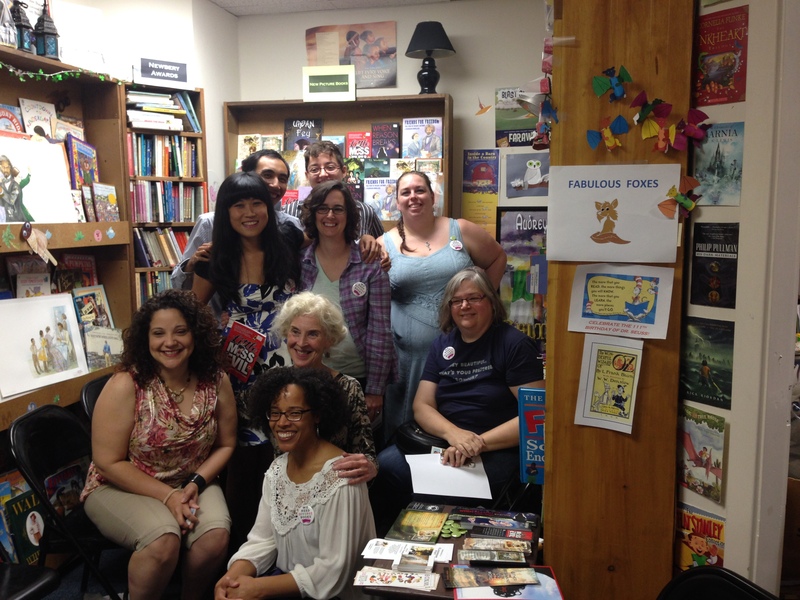 Our little “bigger on the inside” bookstore also had a wonderful Worcester Needs Diverse Books event this past Saturday! Company and conversation was excellent, and there are still a few books and We Need Diverse Books left for anyone who missed the event. Find out more information about this movement at weneeddiversebooks.org! Now, onto what to expect for August events! As always, keep an eye on our website and Facebook page for the most up-to-date information. THIS SATURDAY, August 1, from 11:00 AM – 12:00 PM: Bones & Skulls & Ticks, Oh My! Dr. Ponciano Salazar of the Webster Square Animal Clinic in Worcester will be speaking to children about ticks and entertaining them with skulls and bones of various animals. Sunday, August 8, from 2:00 PM – 4:00 PM: The Princesses of Ruth Sanderson. Ruth Sanderson is an award-winning illustrator of hundreds of children’s books, particularly fairy tales and princess stories. Join us for a princess celebration! Costume contest, art demo, princess treats, and more! CANCELLED AND ON HIATUS: Hafta Craft & Storytime Family Drop-in, Astronomy. Wednesday, August 19, 11:00 AM – 2:00 PM: Cat in the Hat Day. Join us for some special sales of Cat in the Hat and Seuss books! Spinning Yarns Craft and Audiobook Social, every Monday at 7:00PM (sharing space last Monday of the month with The Free People’s Artists Workshop). Bring a craft and enjoy an audiobook or audio drama with other crafty booklovers! Hafta Craft & Storytime Family Drop-in IS GOING ON HIATUS UNTIL OCTOBER. Stay tuned for its return! Worcester Storytellers, the fourth Friday of every month from 7-8:30 PM. For the complete updates and schedules, follow Worcester Storytellers on Facebook! The Free People’s Artists Workshop, the last Monday of July and August from 7:00-9:00 PM. Networking and feedback from other artists and creators of all types. Co-sponsored by the Worcester County Poetry Association. Future meetings TBA. As always, watch ABSW calendar and our Facebook Page for more details and updates. This entry was posted in events, Local Authors, Monday and tagged author events, diversity, events, fantasy, illustrators. Bookmark the permalink. 1 Response to Events Buzz: Last Week of July, a look into August! Book shops are a dying breed here in Ireland which is why I love to visit book stores when I am on holiday.